A chip in a windshield occurs when a small rock or other object impacts it, nicking the glass and causing a small damaged spot. This often occurs when the tires of other cars or trucks fling debris, also small rocks could fall off trucks or open bed trailers as well. A chip may be a very small spot that is barely noticeable, but most people know instantly when they occur because of the loud popping sound of impact. It is important to repair this chip as soon as possible. If dirt or debris are embedded into the area of the chip, it will make repair less effective. Weather and even windshield wipers can force dirt into the chip. Also, windshield washer fluid may discolor the area. When the repair is eventually completed, the results may not be a smooth and clean as it could have been if done quickly after it occurs. Instead the area will have a cloudy or dirty look, because the resin will seal in the debris. To get the best results, the repair needs to be completed within a few days after it occurs. If the chip is left alone, it can multiple into a pattern of tiny cracks, or possibly a long crack. 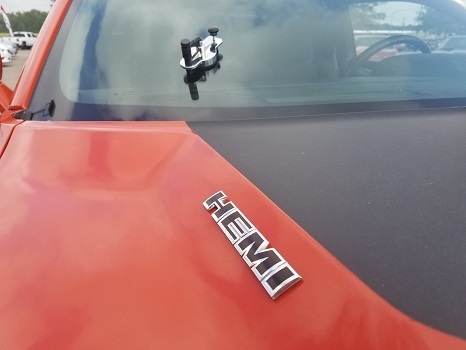 By repairing the chip as soon as possible, you can avoid a more costly repair and the original factory seal around the windshield can be left intact. The process to repair a chip done correctly by a windshield repair technician can be quick simple and inexpensive, it should take about 30 minutes to complete. Here are the steps he will take. First the windshield technician will inspect the windshield to make sure this type of repair is right for the situation. The assessment will involve investigating the size and type of chip, as well as the amount of debris embedded into the damaged area. Then he will clean the area of the chip so that, hopefully, no moisture or debris is sealed into the repaired spot. If there is significant debris in the chipped spot, the repair will result in a cloudy spot on the windshield. The chip is sealed with a special resin material which is then hardened with an ultraviolet light. The resin dries clear and blends with the windshield Any excess resin will be removed so that the windshield’s smooth surface is maintained. We at Mac’s Auto Glass have been in the auto glass industry for over 30 years. We Come to You when any type of windshield repair needs to be completed. Please visit our website at www.macsautoglassal.com to learn more about us. Also, please check our reviews on Google to see what customers are saying about our services. Please don’t wait until that chip becomes a problem. Call us and we normally will come to you within 24 hours to fix the chip.